What is the definition of complementary and alternative medicines? Complementary and alternative medicine is a term that describes the practices and medical products that are not a part of conventional treatment and are used other than standard means of treatment and care. Alternative medicines means those methods of treatment that are being used instead of standard ones while complementary medicines includes nonstandard means of treatment which can be used along with standard ones. Examples of complementary and alternative medicine therapies are herbal medicines, chiropractic and acupuncture. Complementary medicines are used along with conventional treatment to enhance the effect of treatment. For example aromatherapy is used as a complementary therapy that helps to lessen any discomfort following surgery. In western culture CAM therapy includes naturopathic medicine and homeopathy.Non-western cultures include Ayurveda and traditional Chinese medicine. Power of medicines and energy in the body together strengthen the form of treatment. 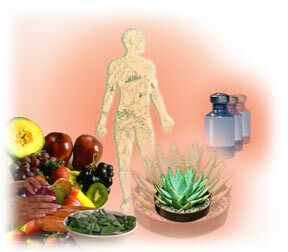 Whole medical systems include naturopathy, homeopathy and natural healing systems. These techniques strengthen the communication between your mind and body. To be healthy, medical practitioners believe that both systems must work in harmony with each other. Techniques include prayer, meditation, art therapies and relaxation. Biologically based practices that are used in CAM uses natural herbs,vitamins,foods,dietary supplements, herbal products etc.For example use of shark cartilage to treat cancer is not yet scientifically proved. These include massage, chiropractic and osteopathic manipulation. According to practitioners of CAM, it is believed that there is an invisible energy flow within our body and when this energy flow is blocked a person becomes sick.The aim is to unblock this energy flow via magnet therapy, reiki, therapeutic touch and qi gong. Considerably, the article is really the best topic on curing acne naturally. I harmonize with your conclusions and will eagerly look forward to your upcoming updates. Saying thanks will not just be adequate, for the wonderful lucidity in your writing. I will immediately grab your rss feed to stay abreast of any updates.